Hello! I’ve replaced The Gig 1990 video with an mpg2 version! “Enter to win a Super Deluxe Limited Edition Push And Shove Speaker Box Set signed by No Doubt exclusively at NODOUBT.COM. “Voting is now underway in the MTV NEWS 2013 MUSICAL MARCH MADNESS Tournament! Rhode Island show videos, Tom, L.A.M.B. Hello! I’ve added the October 15, 2002 Rhode Island show to the downloads section. It’s pro shot, but was captured from an internet stream so the picture isn’t perfectly clear. Just A Girl, Rock Steady, and Spiderwebs are missing. I don’t believe they were included in the stream. 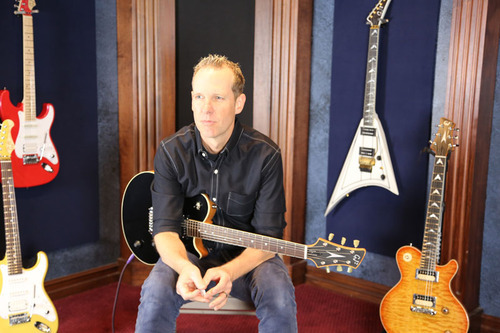 Tom has updated his blog with photos from his visit to the GJ2 Guitar shop last week! Update: he also just posted some “Rig shots from 2012 rehearsals“! I love this collection! Plus, pink (especially hot pink) is my favorite color! 26th anniversary of first official live show! “Happy 26th SKAnniversary to No Doubt! 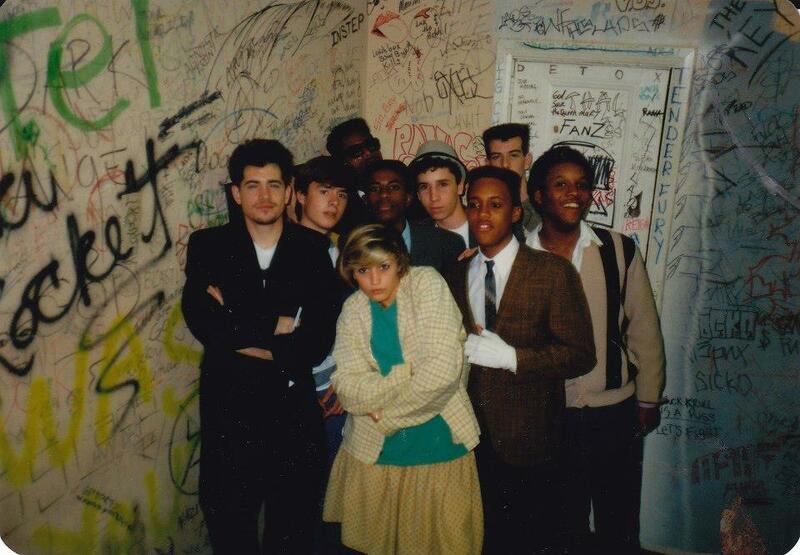 Their 1st show happened on 03/14/1987 @ Fender’s Ballroom! Fabio from EIT has managed to get a hold of the Canadian “In Sixty” TV special that aired not too long ago! I’ve been looking for this, and am so happy that it’s finally shown up somewhere! Click here to watch on EIT! My site has changed, to a new simpler format. My posts and content from the past are gone, unfortunately. It’s nice to have a fresh start. – Much “Expose” show in parts one, two, three. I put this in the Gwen solo section because most of the footage is from an October 2004 interview with her, but there is some ND footage in it. – OC Music Awards 2013. This is the video I posted to YouTube of Adrian accepting the three awards. There is also a very short clip of some ROS footage in it from when ND toured with Lit. Hello! No Doubt won best song, best music video, and best album last night at the OC Music Awards! Adrian accepted the awards on behalf of the band. I put together a video of the No Doubt portions from the live stream, and have uploaded to YouTube. The Awards honored the band Lit, and there is a short clip in there showing some ROS footage from when the bands toured together. I’ve also added some photos to the gallery. 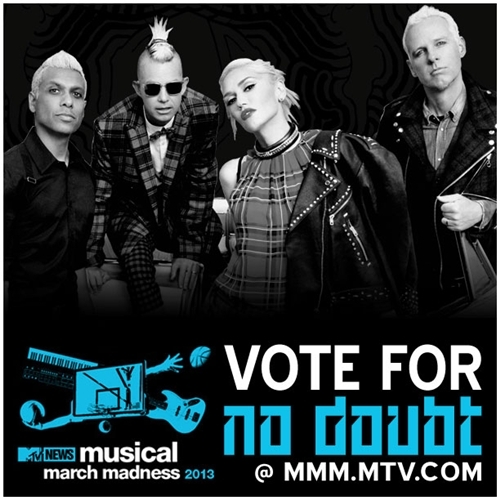 No Doubt is nominated in the peoples’ choice, best album, best song, and best music video categories! Apparently, the peoples’ choice winner is determined by text message voting during the awards show, so be sure to watch and vote for ND! The OC Music Awards tweeted “You can help them win People’s Choice Award by voting for them during the live stream”. You can view the livestream here! “‘Ag Gag’ Bill Draws Rock-Star Opponents ..
Like other ag gag” bills, Indiana’s version, Senate Bill (S.B.) 373, would make it illegal for people to film on factory farms. S.B. 373 would allow whistleblowers some protection if they handed over their video to authorities within 48 hours of capturing it. But this is a thinly veiled attempt to garner more support for the bill. As PETA has witnessed time and again in our undercover investigations, it is crucial that investigators be able to prove that the abuse they documented was pervasive and systematic, rather than an isolated incident, in order to get the abusers convicted. In both our West Virginia Aviagen turkeys and Iowa Hormel supplier pig factory farm cases, investigators reported abuse to their supervisors, who failed to stop the abuse and, in some cases, took part in it themselves. Only with extensive video evidence was PETA able to get the abusers charged and convicted (and the abuse stopped), a point that Tony made in his letter to Speaker of the House Brian Bosma. You are currently browsing the Greener Pastures – a No Doubt fan site archives for March, 2013.